We’re Different You And I – But Aren’t We Different The Same? 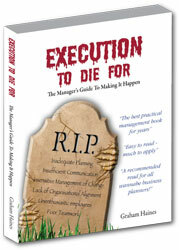 As a Baby-Boomer – and an early one at that – I was particularly pleased to receive comments recently from two young people, one of whom contributed a glowing review of my book – “Execution to die for” – and the other who had read a recent blog of mine. One definitely belonged to Gen Y because she said so on her web site and I suspect the other one did as well. I am always coming across articles that tell me how different Gen X’ers and Gen Y’ers are from my generation and in some respects they are. When I travel by train into the CBD, I tend to read a book (hard copy) or do a crossword. In contrast most of my Gen X & Y fellow travellers are engrossed in their Smart phones stroking their way through their Facebook family or giving both thumbs an energetic work-out as they fire off posts and text messages. Alternatively they hold very public phone conversations with a confidant on the state of their latest relationship, swearing them to secrecy but omitting to ask the same of the rest of the carriage. But when it comes to work life and what they want from it and how they wish to be treated by their employer and their managers, I don’t think they want anything more or anything less than their baby-boomer colleagues. In my book, I certainly didn’t see the need to sort the barriers to execution by generation and the same can be said of the counter-measures. Where Gen X and Gen Y do differ from the baby-boom generation is in their lack of acceptance and toleration of poor management practices. If their current employer is found wanting in that respect, they are more likely to change jobs rather than put up with the status quo. Gen X and Gen Y want their jobs to be meaningful and to see and appreciate how they fit with their employer’s strategic purpose and goals. They are better educated, well-versed in the technical aspects of their jobs but less likely to want to learn the lessons of experience from their baby boomer colleagues. Generally they are better at managing “things” than managing people. It’s not that they don’t know how to manage people but they don’t have time to do both so they focus on “things” because it’s the way they manage “things”, not their leadership qualities, that earns them brownie points and promotion. They are more competitive than their baby-boomer counterparts – they seek promotion and they’re impatient. And the competition is pretty intense. So here’s the paradox. All three generations want the same things from their employer and from senior management. Sadly, I see no evidence that proves that the standard of people management has risen despite the research, the millions of words, the trainers and the DVD’s that focus on the subject. Management is still predominantly in the hands of the baby boomers and Gen X yet there is an army of employees from all three generations who bemoan the lack of leadership and communication in the organisation for which they work. Inevitably, the leadership baton will be passed to Gen Y. Will Gen Y raise the overall standard of leadership and address the shortcomings that they see in the baby-boomers and Gen X? Don’t hold your breath! If the work environment continues to become more uncertain, more competitive and more dominated by self-interest, then leaders as opposed to managers will continue to be a rare and valuable breed. Resisting Change – The Managed Or The Managers? Conventional wisdom has it that those for change come from the ranks of senior management and those against it are the ones on the receiving end of management’s plans for reform. This is over simplistic and in many cases simply not true. Cultural change is a case in point. Over the past ten to fifteen years or so, employee surveys, cultural surveys, climate surveys – call them what you will – have become increasingly prevalent as organisations have felt the need to measure their employees’ mood and morale, and their understanding and commitment to their employer’s purpose and strategies. Among the many factors measured, the degree of employee engagement looms high on the list. The employee’s engagement is usually measured by his or her response to a number of statements concerning the employee’s degree of satisfaction with the organisation for whom he or she works. Is the employee proud to tell others about their employer? How often does he or she think about leaving for another organisation etc. Although naturally results vary widely, there has been some research in recent years, principally by the Gallup Corporation, that shows that employee engagement is at a low ebb. Gallup identified three types of employees. Just 29% of respondents fell into the first category. The reasons for low engagement levels were given as lack of appreciation for work well done; lack of clear goals and objectives, little sense of community and of feeling “in” on the big picture and last, but by no means least, reluctance of management to communicate, listen and learn. Does it matter? It certainly does. Your staff are your most important asset and my client feedback surveys consistently show that it’s the staff in the lower ranks of the organisation who are very largely responsible for customer satisfaction levels. Now, here’s the point. Improving employee engagement is the task of management, not the employees themselves. It’s poor management that led to unengaged employees, not poor employees. So it’s management that needs to change and that change starts at the top. The first on the list – organisational alignment is defined as follows. The only way in which everyone will know these things is to involve them in the process of determining them. 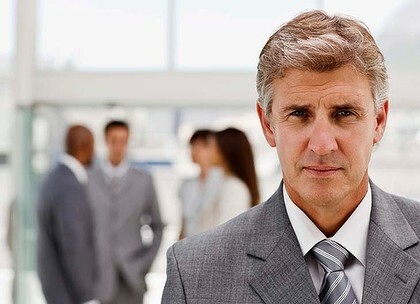 And that might involve fundamental changes in the management style of senior executives – changes that many executives find extremely hard to make. The reality is that you cannot expect your employees to change in the absence of clear evidence that senior management is prepared to change as well. Frankly, what management writes or what management says is of little consequence. The only thing that really matters is what management do. So get out of the office, spend a day a month on the frontline of your organisation, engage with your workforce, talk little and ask a lot. It’s not the whole solution but at least you will learn where the resistance to change lies. You are currently browsing the Plans To Reality's Blog blog archives for June, 2012.